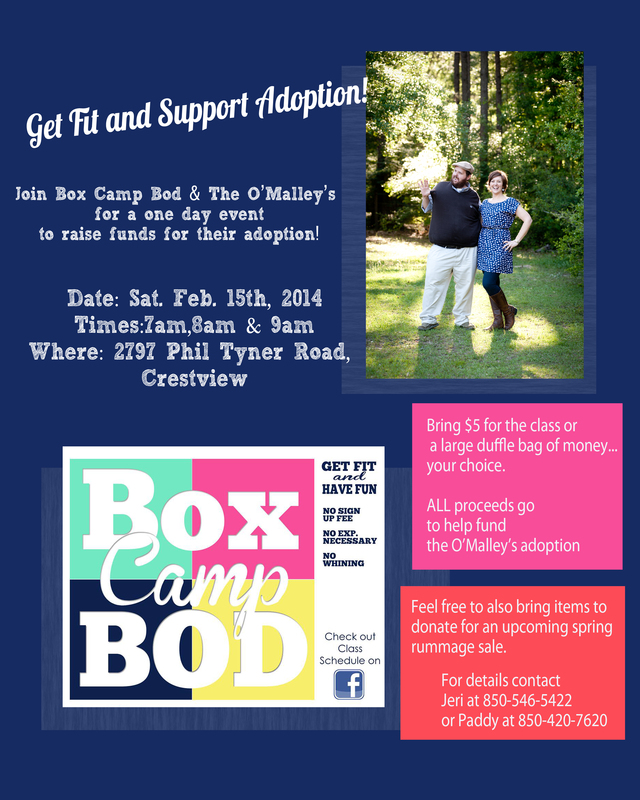 Box Camp Bod Workout Fundraiser- Feb 15th! We are SOOOO excited about this! One of the sweetest human being on the planet, Jeri Toolan at Box Camp Bod has come up with a great fundraiser idea! Sat Feb 15th there will be three classes offered at $5 each and all proceeds will go toward our adoption fund! If you’ve never come to Box Camp, you will have the chance to come and see why it’s so loved by those who attend. Jeri is truly the best fitness coach we have ever experienced. Her workouts are for ALL levels. I'm a Christ follower, photographer, and adoption advocate married to the most amazing guy ever! We are 10 months into the process of adopting our first child domestically.